Place capsicum, garlic, olive oil and vinegar in a food processor. Process until smooth. Add almonds and season to taste. Blend briefly. Serve dip with the vegetable crudités or gluten-free crackers. 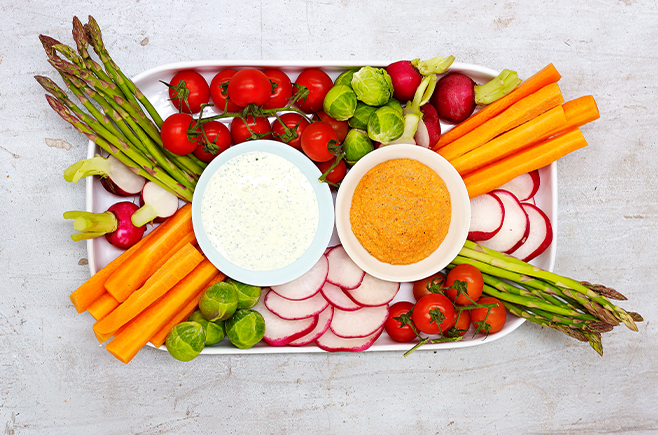 This recipe for gluten-free capsicum dip with vegetable crudites first appeared in Issue 12 of Australian Gluten-Free Life magazine. For more gluten-free entertaining ideas pick up a copy today. Gluten-Free Capsicum Dip recipe by Sandra Basic, photography by Brandee Meier.